After the relaxing dinner at Nostra Casa, there was just one more place that we had to visit without fail. 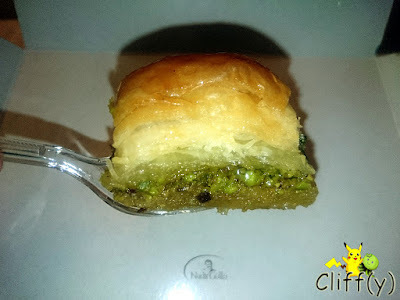 Karakoy Gulluoglu specialises in the quintessential Turkish baklava, a type of pastry made of layers of filo and sweetened with simple syrup or the likes. A must-go place in Istanbul, Turkey, it's been in business since 1820, close to 200 years at the point of writing. 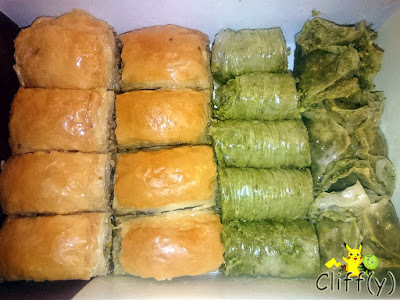 In addition to baklava, there were two other types of sweets that my BFF and I got. Unfortunately, we've got no idea what they're called, so I'm just going to give a random name to each of them. 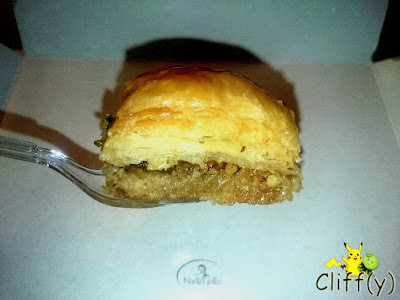 It took me just one bite of the original baklava filled with walnuts, and I was sold. The freshly baked pastry splashed with simple syrup wasn't only sweet and slightly savoury at the same time, but also highly crispy. If you ask me why there's quite a significant difference in the rating between the two, I must say that the addition of pistachio crumbs somehow ruined the taste of the original. 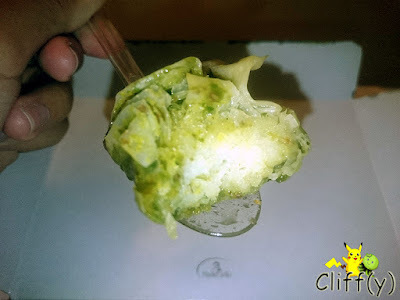 The flavour imparted by the green nuts was quite overwhelming. 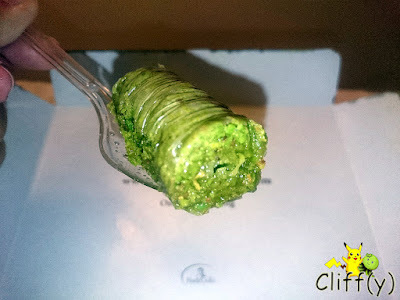 The weakest item in the box was the pistachio roll, even though it by no means tasted bad. It was slightly crunchy with lots of pistachio crumbs in it. Please don't laugh at the name I give to this item. Slightly chewy on the outside, the dumpling was filled with a milky concoction that was dreamily sweet. 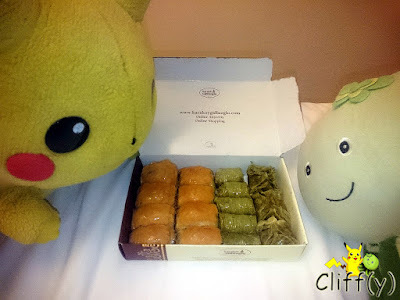 Pika's advice: I was too late to notice that the bakery also sells chocolate baklava. You may want to give it a try. I'll definitely go back to the bakery when I fly to Istanbul again, most likely to see my sister who's currently studying there. 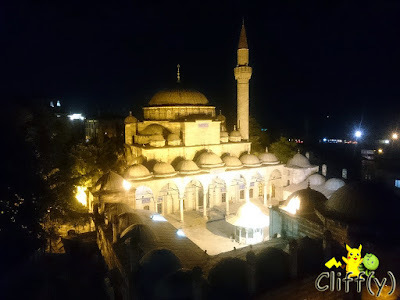 To end the review, I'm going to include a picture of a mosque that I took from the rooftop terrace of the hotel I was staying at.